The patella or ‘knee cap’ is a small bone (sesamoid bone) situated within the tendon of insertion of the quadriceps group. It is an integral part of the stifle (knee) joint and functions to modify the direction of pull of the quadriceps muscle and acts in a similar way to a pulley to increase the efficiency of stifle extension. Patellar luxation occurs when this bone moves out of the groove situated at the bottom of the femur (the “sulcus”). 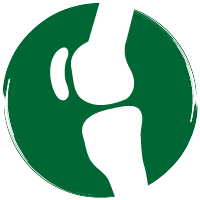 The displacement of the patella may be to either the inside of the knee joint where it is termed a medial luxation or to the outside of the knee joint where it is termed a lateral luxation. Dogs are affected much more commonly than cats. Affected animals exhibit lameness which may vary from a sudden and marked lameness which resolves in a matter of moments (as the patella pops back into its normal position) through to a more persistent lameness with stiffness after rest as a result of secondary arthritis. Sometimes the patella can be felt or even seen to “flick” back into position when flexing and extending the stifle joint. When a veterinarian is examining a dog with patellar luxation he/she will want to know whether the patella is luxating medially or laterally and how readily it luxates. Various grading schemes exist for patellar luxation. The system we find most useful lists four grades. Grade 1 In these cases the patella can be pushed out of the groove but immediately pops back into the sulcus when released. This type of luxation doesn’t occur with normal use of the limb. Grade 2 This seems to be the most common grade of patella luxation. The patella is situated within the groove most of the time but will periodically move out of the groove (luxate). This usually occurs during exercise and may not be associated with obvious clinical signs. It may also become apparent when grooming or lifting the leg up to wash/dry a hind paw for example. Grade 3 In these cases the patella is displaced out of the groove for the majority of time but it can be manipulated back into the groove although it does not to stay there as the joint is flexed/extended. Grade 4 These are the most severe cases and fortunately are the rarest. The patella is permanently luxated and cannot be manipulated back into the groove. These are the most challenging cases to correct and may be associated with quite marked bony deformities of the affected limb. Manipulation will also allow appreciation of any “grinding” (or “crepitus”) that may be associated with the luxation. This indicates cartilage loss on the back of the patella or over the ridge of the groove. This may have an affect on prognosis as it is associated with arthritis. Some dogs will suffer from concurrent cranial cruciate ligament failure and this will be assessed at the time of consultation and later when the dog is asleep. This may only be confirmed at surgery. Corrective surgery for these cases is a little more complicated than for patellar luxation alone. Radiography is commonly performed following clinical examination in order to evaluate the bony conformation of the hindlimbs and to assess the stifle joints in more detail. What are the consequences of patellar luxation? When the patella is luxated the quadriceps muscle group is not able to work effectively and this will limit the amount of power that it can develop. The ability of the stifle to extend and bear weight is reduced. Lameness is very variable in dogs with patellar luxation. Some will have no obvious clinical signs whereas others may have periods of non weight bearing lameness. As the patella luxates, the cartilage on its joint surface may become damaged since it is not articulating with cartilage in the groove. This can cause osteoarthritis. Why has my dog/ cat got it? Most cases of patellar luxation are medial and this is frequently a congenital problem in toy and miniature breed dogs. Breeds showing a predisposition for medial patellar luxation include miniature and toy poodles, Yorkshire terriers, Pomeranians, Pekingese, Chihuahuas and Boston Terriers. Large breed dogs are also affected and the Labrador retriever seems particularly predisposed. Lateral patellar luxation is seen less commonly and again may be seen in large or small breeds. Patellar luxation is less common in cats than in dogs. Predisposed breeds include the Devon Rex and the Abyssinian. Although the specific cause of patellar luxation is unknown in these cases, it is generally agreed that a defect in hind limb conformation is the underlying cause. Patellar luxation may also occur following a traumatic event that disrupts the supporting structures of the stifle joint. This is seen in cats and any breed or size of dog. Not all animals with patellar luxation require surgery. Animals with grade 1 luxation and some with grade 2 luxation may be successfully treated conservatively. This decision will be discussed with you in detail following the clinical examination. What post operative care is required? Most animals will go home one or two days after surgery. A soft support dressing may be required for a few days post-operatively. Following bandage removal most animals will be tentatively bearing weight on the operated leg. We recommend that animals have restricted exercise for 6 weeks after surgery during which time they are encouraged to use the limb in a controlled fashion. Slow gentle lead walks in the garden are ideal as is gentle physiotherapy. Hydrotherapy can be beneficial post operatively and again may help to improve muscle mass and range of joint motion. We like to re-examine our patients approximately 6 weeks post operatively. This assessment usually involves both a clinical and radiographic evaluation. The aim of this visit is to confirm that the luxation has been corrected and that there is adequate healing of the tibial tubercle transposition . Based on this examination we will be able to advise you on further exercise requirements. Most animals resume normal activity about 3 months post operatively. In some cases, especially smaller dogs and cats, there may be a requirement to remove the metal implants once the bone has healed. This is usually because of either implant loosening or irritation caused by the lack of covering tissue. This is usually a minor procedure and is only required in a small percentage of cases.